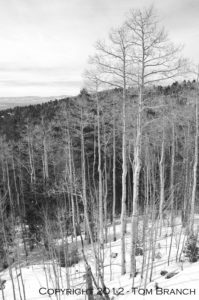 Aspens in the Sangre de Cristo Mountains north of Santa Fe, New Mexico. 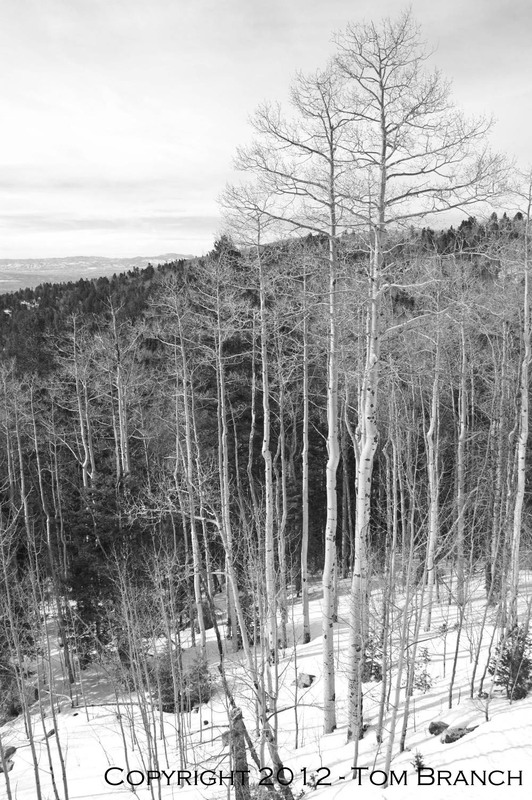 Photograph taken on January 3, 2012 at 1:54 PM with an 18mm lens. The only post-shoot processing was a little sharpening and conversion to black and white. Do Referral Fees Add Cost to the Consumer? Lately, there have been a few online postings that referral fees should be illegal because they add cost to the consumer. I’ve read all the arguments, yet I’m not sure how they arrive at that conclusion. I could see the argument, if I were to raise my cost to the consumer on transactions where I have agreed to pay a referral fee. While this may happen from time to time, I believe the vast majority of brokers see it as the cost of doing business. I either pay to advertise, farm, or some other means of acquiring new clients or I pay a referral fee to an out of area broker who has a client needing to buy or sell a property in my area. While I don’t work relocation business, relocation companies collect referral fees from brokers who accept their relocation clients. Why is a broker-to-broker referral any different? The bottom line is that unless brokers raise prices on transactions involving a referral fee, there is no additional cost to the consumer. Want to know what mobile users see when they visit your site? Pick up your smart phone, open your browser, and type in your URL. If you do not have a mobile-ready site you’re in for a huge surprise! With a large percentage of the market moving onto mobile devices, you simply must have a mobile version of your website these days. Mobile website design is completely different from full-size browsers. There are severe limitations in screen size and bandwidth capabilities of these devices that must be considered. My suggestion is to keep it simple! Mobile users want easy access to information. 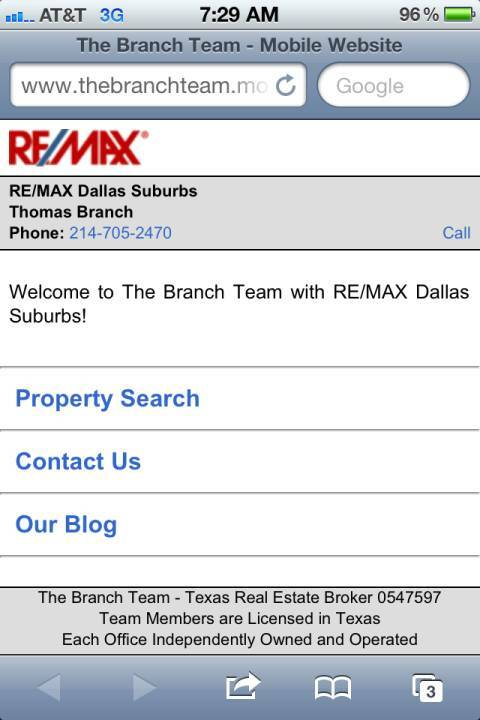 For real estate agents, that means easy access to MLS searches and contact information. We also include a link to a mobile version of our blog. If your site is running on WordPress, there are a number of plugins available that will detect mobile devices and send users to the mobile verison of the site. One of our WordPress-based sites uses Plugin Buddy Mobile to create a mobile version of the site. Other than creating and uploading a mobile banner, this was a 10 minute set up. 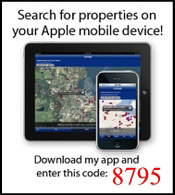 The limitation for real estate agents is access to a mobile-ready IDX solution. We chose to develop a stand-alone mobile website using a simple PHP script to detect mobile users and send them to the mobile website. 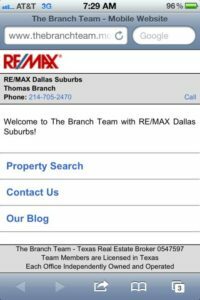 This choice was driven by our access to the RE/MAX of Texas mobile-ready property search. While we could have purchased another mobile IDX solution, the cost is prohibitive since not only do we have to pay the IDX provider, we also have to pay our MLS another monthly fee to feed the data to the provider. You may also want to register a .mobi domain name and set up an m. subdomain for your websites. Mobile users will often try using the .mobi top level domain (www.thebranchteam.mobi) or m. subdomain (m.thebranchteam.com) when they’re looking for a mobile version of your website. Mobile computing is not only here to stay, it’s going to become an even larger percentage of your web traffic. Is your website mobile friendly? Trust. There’s a word we hear almost all the time in today’s business environment. But it’s more than a word. It’s the basis for long-term personal and business relationships. Trust in never inherent although a certain level may be associated with a profession or brand. Many people will give a certain level of trust to their doctor or lawyer based upon their years of education, training, and experience. Larger brands are often more trusted than smaller operations. But in the end, trust has to be earned. I remember originating mortgages several years ago. I worked for a small brokerage firm. As I would initially meet with people, they would be standoffish and apprehensive. As we worked on their loan application and processing, we would get to know each other better. There was always a definite point in time where I knew I had earned their trust. How did I know? They would stop reading the various forms and would simply sign them. At that point I could have had them sign over their house and they would have done it. I never violated the trust I earned. Why? Because trust is a fragile thing though. Violate that trust once and you’ll never get it back again. Trust means doing the right thing even when it’s not profitable. Trust means admitting mistakes. “I’m sorry” and “Let’s see if we can fix this” are what great businesses are all about. We’re all human and we make mistakes. Show me someone who has never failed and I’ll show you someone who has not yet reached their full potential. Trust is not a tagline or a marketing strategy. 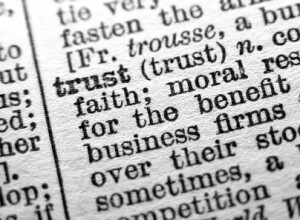 Trust should be a core value of any successful business. This post is a submission to the ActiveRain / Adobe EchoSign Trust Contest. I could possibly win a prize. You can find out about the contest by clicking here. The median sales price in Fairview has recovered nicely from the low in the summer of 2009. 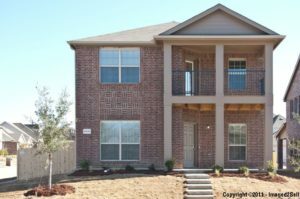 Zoned to Lovejoy ISD and boasting estate sized lots, Fairview continues to attract buyers. The opening of the Shops at Fairview brought upscale shopping, dining, and entertainment to Fairview. In November 201 the median sales price was $279,995 and it has risen to $307,900–a gain of 10 percent. The Days on Market in Fairview remain stable at about 118 days. While this is slightly over the average in the local area, 118 days on market is still very good considering the higher price points in Fairview. The months supply of housing is slightly over 7.9 months. The National Association of REALTORs states that a 6 month supply of housing is a stable market, supplies under 6 months are a seller’s market, and supplies over 6 months is a buyers market. 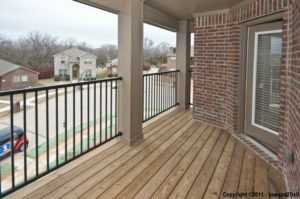 While Fairview is slightly over 6 months, I still believe the market is balanced given the higher price points in the area. Fairview had an 8.3 month supply of housing in November 2010. 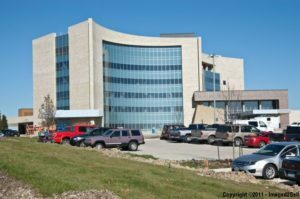 It sits at 7.9 months now–a decrease of 4.2 percent. 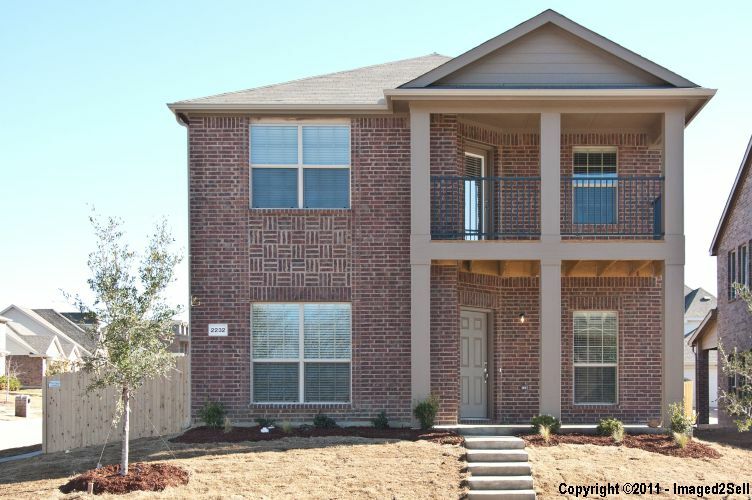 Located in the shadow of the Baylor Medical Center at Lake Forest and US 380, this never-lived-in DR Horton home is ready for tenants. 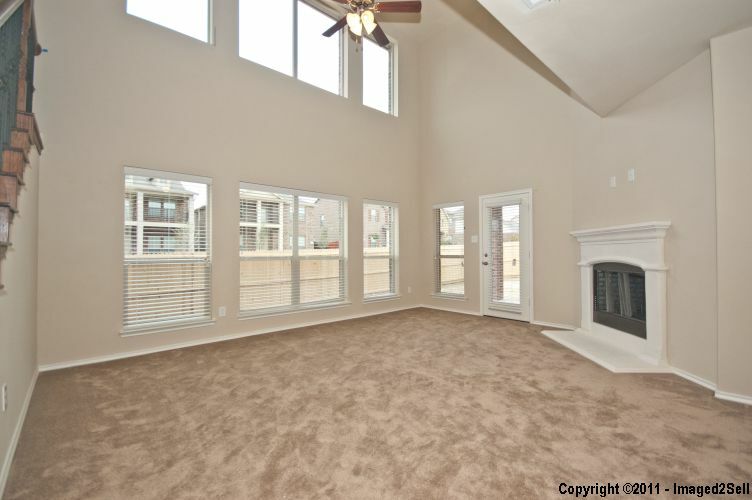 There are 4 bedrooms, 2.1 baths, and 2168 square feet of living space per the builder’s plan. Click on any photo for a larger view. 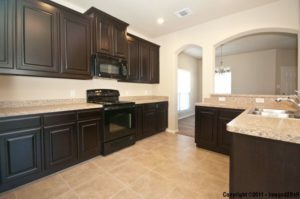 The open kitchen has plenty of storage space, dark cabinets, black appliances and decorative lighting. 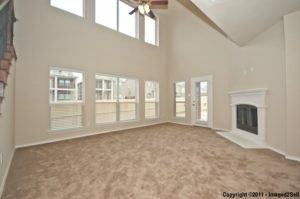 The large living has soaring ceilings and a wall of windows overlooking the fenced backyard and patio. The home is wired for a flat-panel television above the wood-burning fire place. The staircase has oak handrails and cast iron balusters. The master suite sits at the rear of the house. 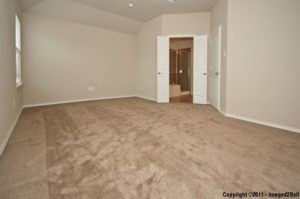 The master bath has a jetted tub, separate shower, dual vanities, and a walk-in closet. 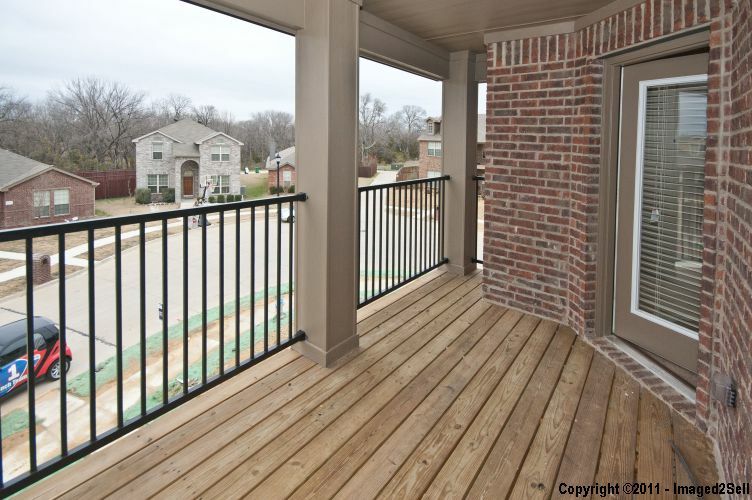 Imagine yourself sitting on the balcony in the morning enjoying a hot cup of coffee enjoying the view of the greenbelt. 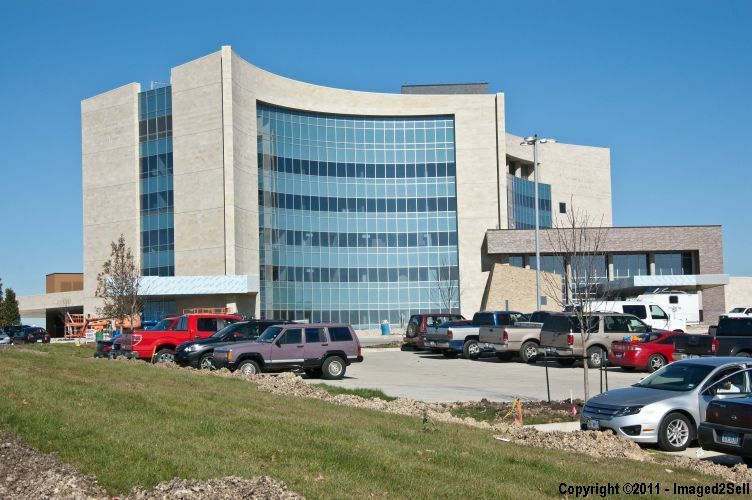 The home is within walking distance to the new McKinney Baylor Medical Center. Please contact us at 214-227-6626 for more information or to schedule a private showing of this home. The Median Sales Price, which had been on the rise for almost a year, retreated some over the past few months. It appears to have stabilkized over the past month. Allen started the year at $196,475 and is now at $201,000. While .5 percent is not a huge increase, it is stable. Days on Market has been on the rise for the past year yet remains below 90 days and below 2009 and 2010 levels. Allen started at 77 days on market and has risen to 82 days on market. The Months Supply of Housing is very good at 4.4 months of inventory currently on the market. The National Association of REALTORS® suggests that a 6-month supply of housing is a balanced market. Supplies over 6 months indicate a buyer’s market and supplies less than 6 months indicate a seller market. Our experience is that homes that show well and are priced right continue to sell.